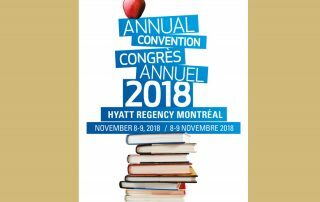 Annual Teachers’ Convention: Preliminary list of workshops is now available. 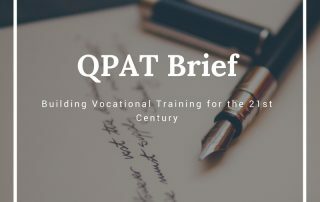 More news: Link for hotel reservations Exhibitor Forms now also available Click here for more details. 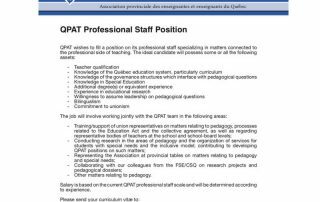 QPAT wishes to fill a position on its professional staff specializing in matters connected to the professional side of teaching.